Elisabet Sahtouris, Ph.D. is an evolutionary biologist and consultant on Living Systems Design. Her work centers around the idea that all living systems self-organize according to the same principles, therefore providing a model by which humans can organize sustainably and efficiently. 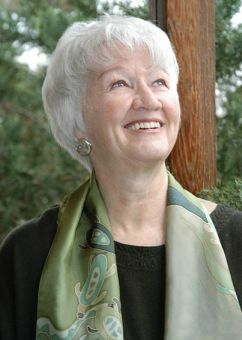 Sahtouris has written many books including, Biology Revisioned, A Walk Through Time: from Stardust to Us, and Earthdance: Living Systems in Evolution.